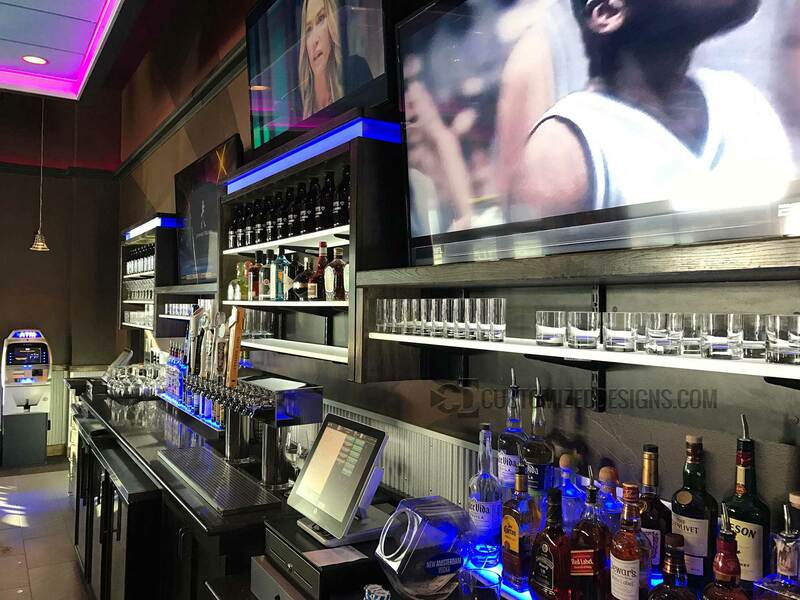 This is a great picture one of our commercial bar customers sent us to show off how they’re using our 2 tier liquor displays and quite a few of our led shelves. They opted to use their own existing mounted system for the shelving so they didn’t need our usual brackets. Turned out great!